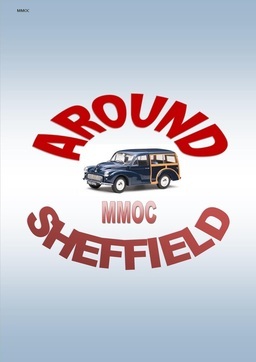 The Around Sheffield Morris Minor Owners Club was formed in late 2013 by a group of like-minded Morris Minor enthusiasts who felt the need for a branch of the MMOC to cover the Sheffield, Rotherham, North Derbyshire and the rest of South Yorkshire. The first meeting was held on January 15th 2014 at The Waverley. The Waverley is an excellent hostelry patronised by other Motor Clubs. It was recommended by our friends in the Sheffield Rover P4 Group with whom we maintain close ties. Our first meeting was well attended. At our inaugural meeting we had the additional expertise of Sue Ackrill (Area 1 Liason Officer) and Andrew Stone (National Committee Member and Annual Rally Organizer) we are greatly indebted to them both. We hold regular meetings on the third Wednesday of the month where we have welcomed new members. We regularly hold quizzes and raffles and together with members subscriptions have enable us to organize a Host Day in August. At the Host Day we welcome members of other branches. 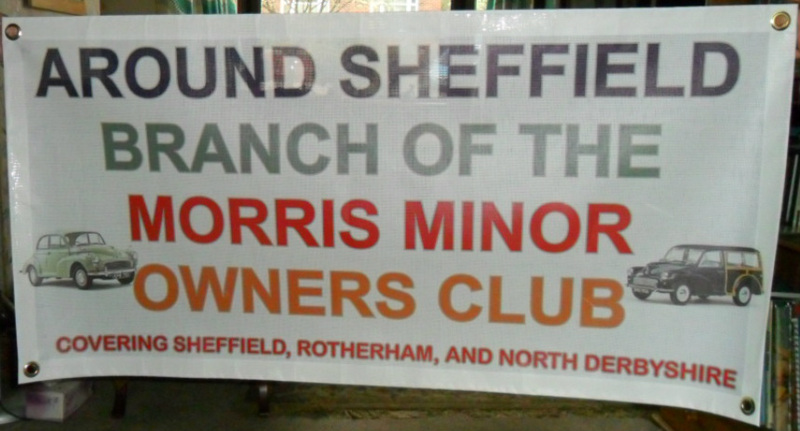 Funds raised to date have enabled us to purchase a club banner. Our `Drive it Day` was very well supported by our members and visitors from other branches, an event which we will repeat next year. We have other events planned throughout the year which you are welcome to attend. Read our diary of events column to be kept informed. Should you wish to know more.. why not pay us a visit on one of our club nights or come along to one of our events and see what we are about! The Committee are all well known in Morris Minor circles and carry with them extensive technical expertise which they are only too happy to pass the expertise on. You are invited to join us whether you own a Morris Minor or not. Membership costs only £1 per visit. The Waverley, Brinsworth Road, Catcliffe, Rotherham S60 5RW. Will be on June 19th see below for further details. ENTRY IS FREE AND PRIZES WILL BE AWARDED TO THE BEST MINOR AND THE BEST CLASSIC. ATTRACTIONS INCLUDE, PIE AND PEAS, TOMBOLA, HOME MADE CAKES, AUTOJUMBLE AND TOOL STALL. Have you got a morris minor that is looking tired? It does not have to be tired. Why not have one like these? Join us and we will help you make it possible.